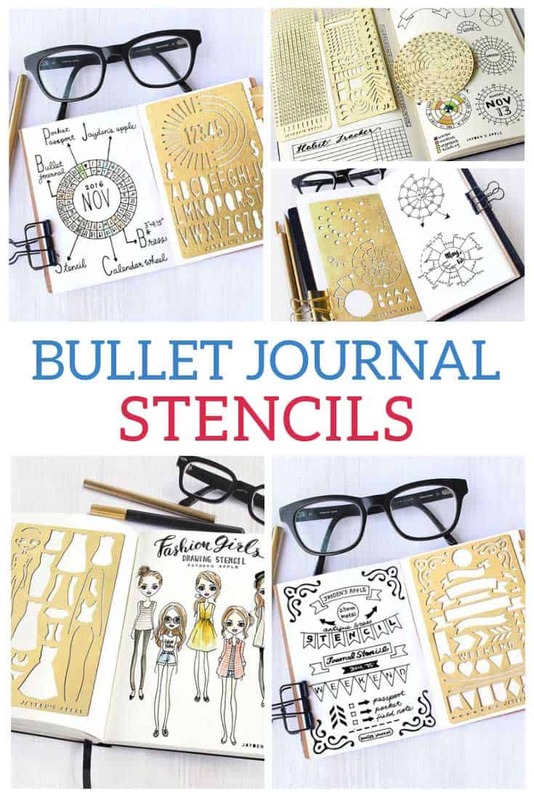 If there could be a downside to using a Bullet Journal it’s that the spreads can be quite time consuming to set up… unless you use one of these genius stencils that is! I love my Bullet Journal but some weeks I struggle to find the time to get my spreads set up how I want them, which left me with two options. Switch back to a pre-printed planner or find a quicker way to draw out my layouts. 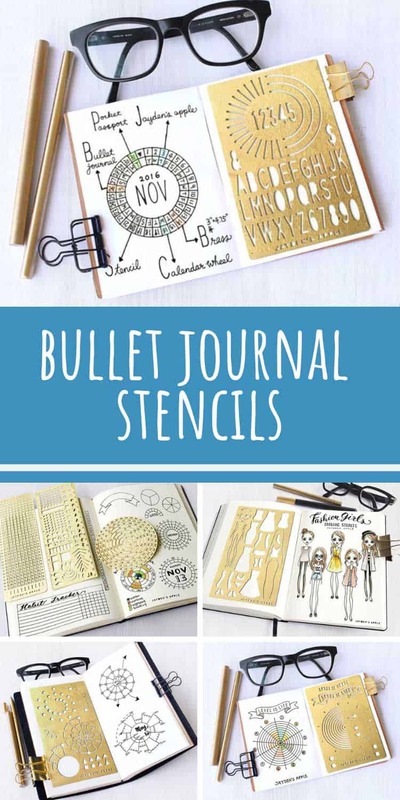 I really didn’t want to abandon my Bullet Journal so I was super excited to discover the Jayden’s Apple store on Etsy where they sell these amazing stencils that make setting up spreads super quick and easy! This stencil set is one of Jaden’s bestsellers and it’s pretty easy to see why. You get a set of three stencils and a lovely black felt folder to keep them in. There’s a grid chart/line stencil, a checklist/keys stencil and then a circle chart stencil. With this set you have everything you need to create a multitude of spreads including dates, checklists, birthday trackers and habit trackers! This stencil is just what you need for drafting super neat calendar wheels in your Bullet Journal. It’s pocket sized so it’s easy to carry with you. If you don’t have time to practice your lettering right now it’s perfectly fine to cheat and use a stencil like this one! Bring a floral touch to your Bullet Journal spreads with this fun stencil that’s filled with leaves, flowers and butterflies. If you love to spend time planning your outfits for the week or designing a capsule wardrobe this fashion girl stencil will make life a whole lot easier! If you want to track your Level 10 life you totally need this stencil because trying to draw those ever increasing circles by hand is just never going to happen! If you’re still trying to figure out the best way to manage your day inside your Bullet Journal check out the spiraldex visual mapping method. And if you think it will work for you this stencil will make setting out your daily time tracking a breeze! I love this stencil because it’s dual purpose. Not only does it help you decorate your corners but it also doubles as a handy bookmark! 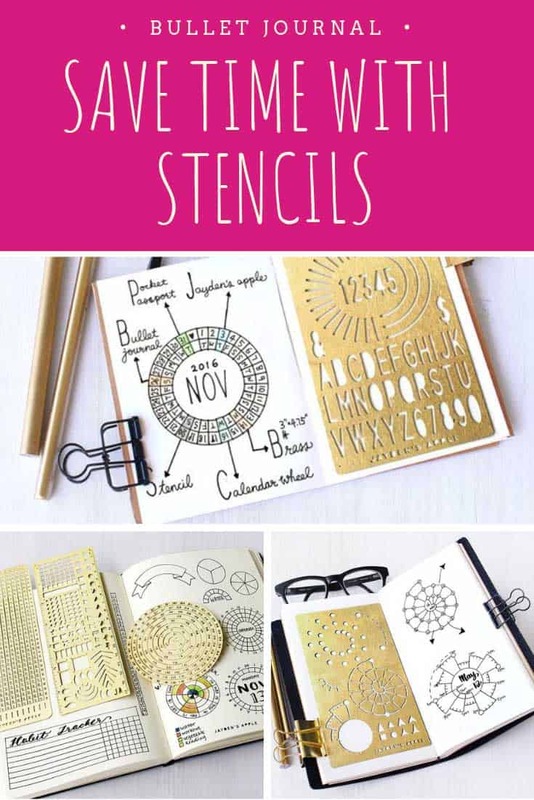 If you enjoyed our tips for doodling bullet journal banners and headers you should check out this stencil! And finally here’s another stencil that will help you decorate your spreads with banners and flags.